Captain Robin has been working on charter boats for about 20 years. Born and raised in Ashland, Virginia, she started out as a mate for her father in the late 80’s on the charter boat “Robin Sue”out of Reedville. Fishing just comes natural when you grow up working on a charter boat. She had the Rock-N-Robin built in 2002. 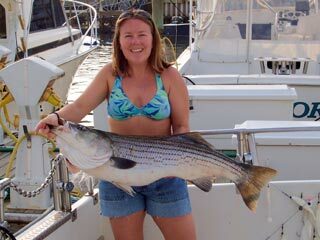 Dedicated to providing a fun fishing experience, she welcomes all types of anglers: the young and the young-at-heart. Robin has a Master's degree in Teaching from Virginia Commonwealth University and a B.A. in English. She teaches middle school in Calvert County. For photos of Robin's wedding, click here. 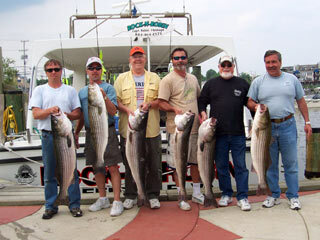 All Star Sports from Woodbridge, Va. won 20th place in the 2006 American Striper Association Stars and Stripers. 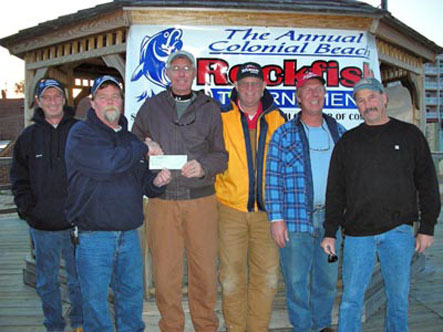 Robin's brother, Preston Amburn, and crew placed 2nd overall and won the Calcutta in the Colonial Beach Chamber of Commerce Tournament Nov. 5, 6. Congratulations! 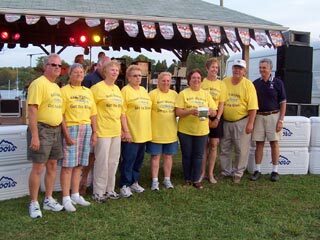 Even though Rock-N-Robin did not place in this year's 23rd Annual Reedville Bluefish Derby, we are proud to announce the results. 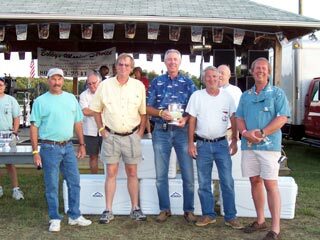 Truly a fishing family, Robin's brother Preston (far right), and crew aboard the "Slip Away" took 1st Place Overall. Robin's dad, Captain Roy (far right), and the ladies of Cockrell's Creek proved themselves once again to be hardy fisherwomen. They took 2nd Place Overall this year. By the way, their shirts say "Real Women get the Blues". 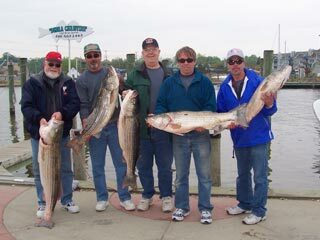 All Star Sports from Woodbridge, Va. won 8th place in the 2005 Rod-N-Reel Tournament in Chesapeake Beach (MD) with a 46" 36.98 lb rockfish. 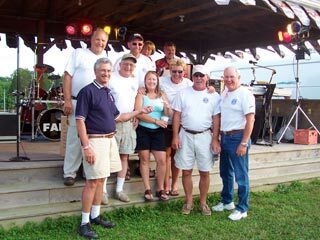 Bill and Bobbi Clarke and family fished the Reedville Bluefish Derby June 10-11, 2005 and took home 2nd place on Saturday with a 23.68 lb. rockfish. They had a combination weight of 44 lbs. for the two days. 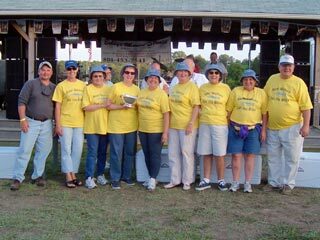 The ladies of Cockrell's Creek secured 3rd place overall in the Reedville Bluefish Derby with a 27 lb. 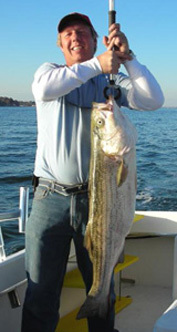 rockfish on Saturday aboard the "Robin Sue" with Capt. Roy Amburn (Robin's dad, 2nd from right).